I like the idea of this app, and it works well most of the time. 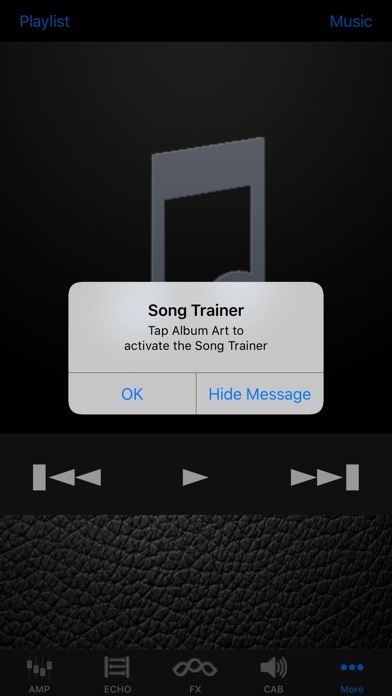 But if I want to jam with a backing track, I can only use music in my library. I like to use tracks off of JamPlay or YouTube. There is no pathway for this. It seems like a simple fix, but then I’m a guitar player, not a coder. Hope that they add a feature like that soon. Then this would be an easy five star app. I use this app daily. I missed it terribly while waiting for the ios11 update. The ease of use and the features make it as close to perfect as it gets. 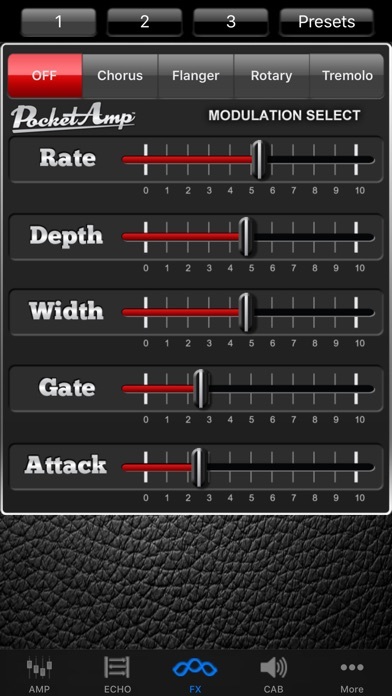 The tone selection is great and simple to use. Pedals offered are all you need. Load up your favorite song from your playlist and jam. Slow down the speed without changing pitch to figure out riffs. Change the pitch to match your tuning on the fly. All through my headphones so no one around the house is disturbed. Just love this app! 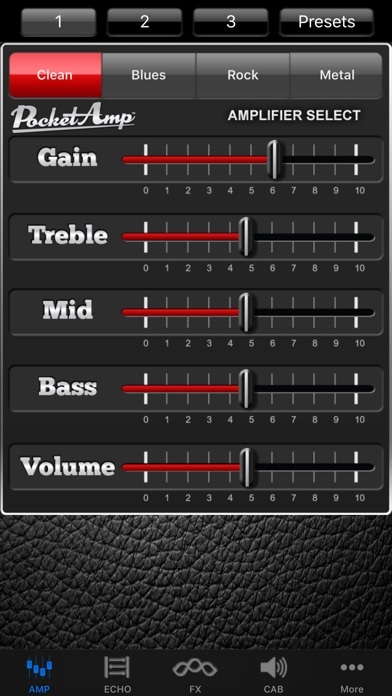 Highly recommend for guitar player! I have worked as a professional guitarist on the road and in the studio. I use this app almost on a daily basis. The feature that allows you to import songs and slow them down without pitch or sound quality issues is worth it alone. The customer service is the best I've experienced anywhere. I called and within two rings I was speaking to a live person ready and willing to answer all of my questions. Get this app! The basic effects included are "meh" but the basic distortion sounds good for what it is. I use it primarily for the song play along - slow the song down to learn it, loop it, etc. Interface is a bit difficult to use but not terrible. DEFINITELY remember to turn in "feedback control" if using headphones!!!!! Otherwise the squealing in your ears will be heard for days. Very pleased. I can get some really great 80s metal sounds out of it. Great for me bc I love to play Ratt, Dokken, Judas Priest, etc. Great app.Like most of you,I tried them all,including various interfaces,musicians friend is fantastic about letting one try things out and returning things that don't work out for you. 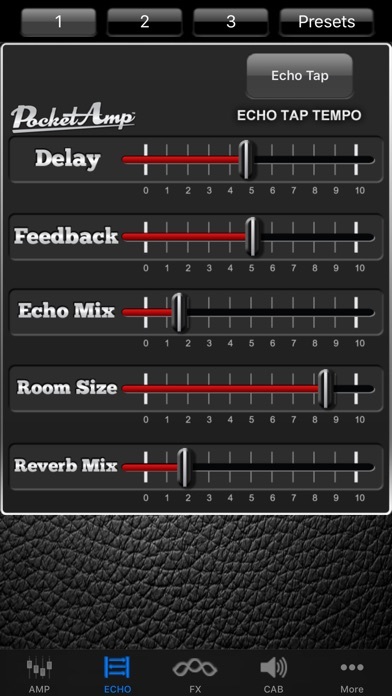 In any event the iRiffport combined with garage band is simple to use and provides results with hands on tweak ability and great cabs w/effects and all the things one needs to produce a complete product.I am 64 yrs old and I can do it which translates into anyone can do it!I highly recommend it.now purchase the app,install it and have a great time. 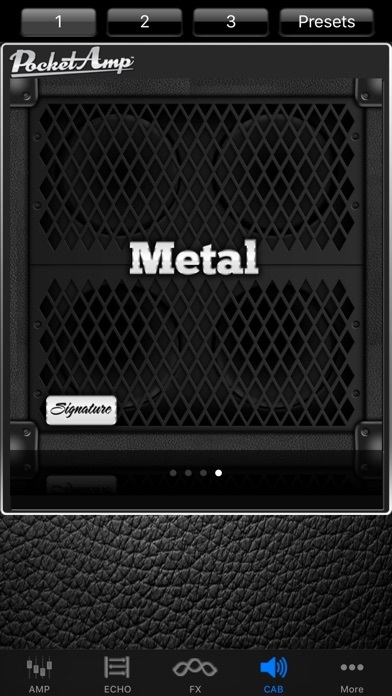 This app allows you to get that extra heavy distortion sound that you used to just fantasize about getting when you first start out with just a simple amp and guitar! It makes you want to keep practicing. A must have for me! I would have paid twice as much for it! Now that I KNOW what it does. The reviews made me take a chance on this one. I'm sure glad I listened. Now if you'll excuse me I need to go plug in! The iriffport is phenomenal. Very high quality, and easy to use. Line out and headphone jack are great. I've had no problems keeping it plugged in, even with the lightning adapter. The sound quality is exceptional. Support is fast and second to none. The app is ok. Probably more three star, but the iriff is 10 stars. The app is extremely easy to use, adjusting settings is a snap. I just can't figure out how to get a decent sound? When I compare the amp and effects of this to others, it falls a bit short. Mainly the rock and metal distortion effects. They sound too fuzzy, to me and not enough clean heavy distortion if that makes sense. Anyway that's my thoughts.